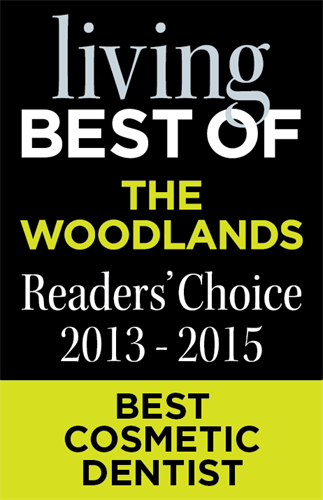 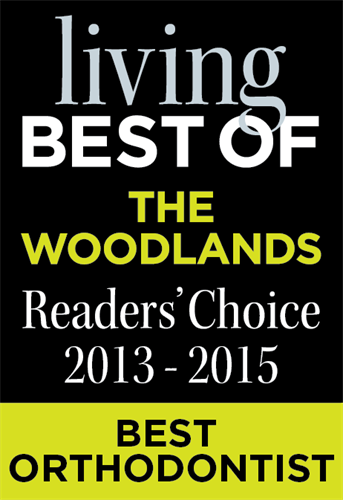 Since 1985, families have placed their trust in The Woodlands Dental Group and Orthodontics. 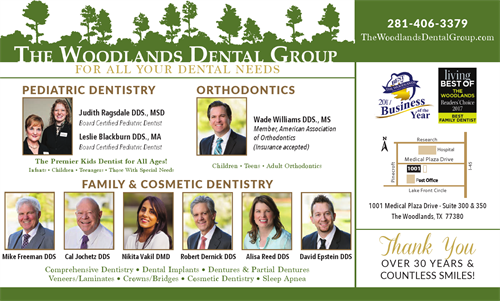 This dynamic team of dental professionals has partnered to offer general, cosmetic and pediatric dentistry and orthodontics in a warm, welcoming environment, giving everyone in the family a great reason to smile. 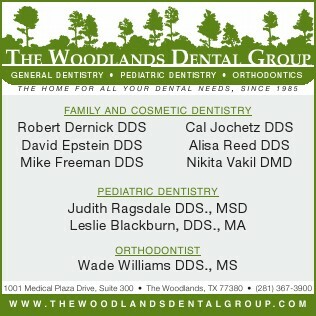 The home for all your dental needs. 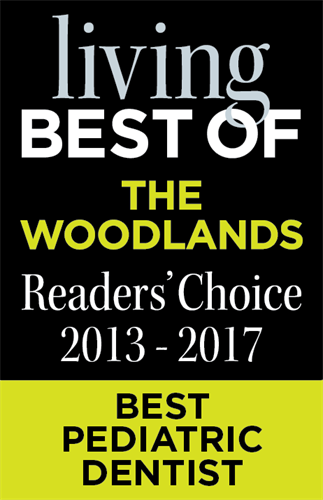 Located across the street from emergency entrance of Memorial Herman Hospital, off I-45 S feeder between Research Forest and Lake Woodlands. 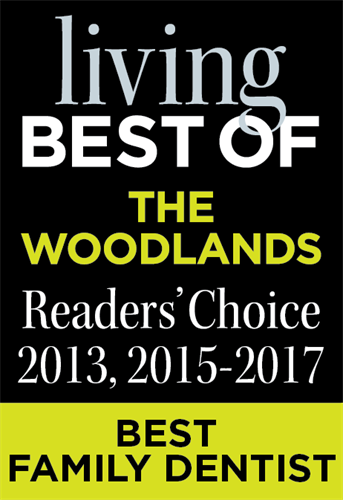 Close to Town Center.